Anna and Wendy discuss episode 7 of Chronologically LOST, 007: 1977 day 3 – day 4, featuring family matters with Miles and Dr. Chang, Faraday’s return to the island, the shootout at the motor pool, and Faraday trekking out to the Others’ village to find his mother. Podcast length 1 hr 23 min. Lost Candy Controversy Smackdown – thanks to Mr. Badd for digging into this! Check out his thoughts on his blog. 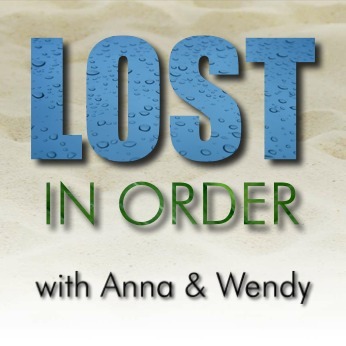 Anna and Wendy discuss episode 6 of Chronologically LOST, 006: 1977 day 2 – day 3, featuring an emergency medical situation with young Ben Linus, great conversations about time travel, and a trip to visit the Others. Podcast length 1 hr 15 min. Anna and Wendy discuss episode 5 of Chronologically LOST, 005: 1977 day 1 – day 2, featuring Jack, Kate, and Hurley’s induction into the Dharma Initiative, Sayid being captured and questioned by Dharma, Radzinsky obsessing about the Swan, thoughtful young Ben bringing Sayid sandwiches, and a flaming Dharma van causing chaos at the barracks. Podcast length 1 hr 20 min. Anna and Wendy discuss episode 4 of Chronologically LOST, 004: 1974-1977 day 1, featuring the end of the time travel flashes from season 5, the assimilation of the time-traveling Losties into the Dharma Initiative, and Jack, Kate, and Hurley waking up on the island post-Ajira 316. Podcast length 1 hr 33 min. Happening in Sept 2014: Cancer Gets LOST auction benefiting the American Cancer Society!